In the very beginning, we wanted to bring Toronto's gaming communities together in person and online, but we weren't even a real company then. Our first meet-up was just a few dozen people in a crowded bar that met on our forum, and everybody had so much fun that more people continued to come. Last year, over 12,000 people came. And we're just getting started. No matter what video games you're into, or how old you are, we want you to call Enthusiast Gaming Live Expo your home. Our mission is "United by Gaming" because we really believe that video games have this incredible way of bringing like-minded people together. 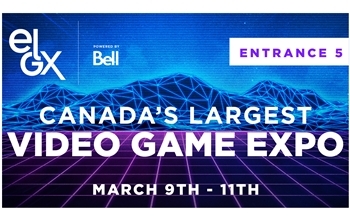 That's what EGLX is all about.